Kitchen knives are used daily so it’s always a good idea to invest in a good set so that you don’t have to replace them frequently. But no matter what you do, eventually they’ll lose their sharpness. Instead of buying a new set, did know you can use a good sharpener to prolong the lifespan of your knives? Chances are you do which is probably why you are reading this Bavarian Edge review. This is a very ambitious claim, and many people wonder if it’s really true. This review will help you get all the answers you need, and you can determine if the Bavarian Edge is really worth it. What is the Bavarian Edge? Made out of durable tungsten carbide, the Bavarian Edge is a knife sharpener consisting of two spring-action arms. Even though the material is very sturdy, it’s also flexible enough to ensure that you can sharpen many different kinds of blades. The company claims that their product does a far better job of sharpening knives than a sharpening stone or electric sharpeners, which are only effective on some types of blades. Let’s take a quick look at how it does its job. Who Manufactures the Bavarian Edge Knife Sharpener? The manufacturer of the Bavarian Edge is Telebrands, the biggest ASOTV company out there. Aside from this knife sharpener, they’ve released a variety of popular products, such as the Red Copper Pan, Atomic Beam USA, the Ped Egg Power, and many others. Even if the company doesn’t really have a stellar reputation, many of their products are actually quite good, and they have many satisfied consumers. How Does the Bavarian Edge Work? Using the Bavarian Edge is as easy as using any other pull-through sharpener. Simply place the knife where the two action arms meet, and pull it until it sharpens. The way it works is rather simple. As you pull the knife, the action arms remove the metal on both sides of the edge, which results in a much sharper knife. As the company states, the Bavarian Edge is able to sharpen blades of pretty much any metal, and you can give your knives their sharpness back in a matter of seconds. The Bavarian Edge features two independent sharpeners that flex around the blade at every angle, creating a sharp edge. The design is pretty sleek, and the sharpener is easy to use and store in a drawer after you’re finished with it. One thing that the company claims no other sharpeners except the Bavarian Edge can do is sharpen serrated knives. They say that their solution does this complicated sharpening without any issues, which is another thing that makes it stand out from the competitors. They offer a lifetime money-back guarantee in case you’re not satisfied with the results. How Much Does the Bavarian Edge Cost? The Bavarian Edge is a fairly affordable product. At the time of this review It retails for under $20 on Amazon.com, which isn’t that expensive for a sharpener as versatile as this one. But prices change all the time so be sure to check Amazon.com for the latest price. If you scour the web for deals, you’ll find all kinds of coupon codes that you can apply to your purchase. Some of them offer free shipping if you order online, and you can also find discounts of up to 50% or rebates. But for the best deals you may want to try sites like Ebates.com which can provide you cash back, rebates, coupons or discounts on products like knife sharpeners. 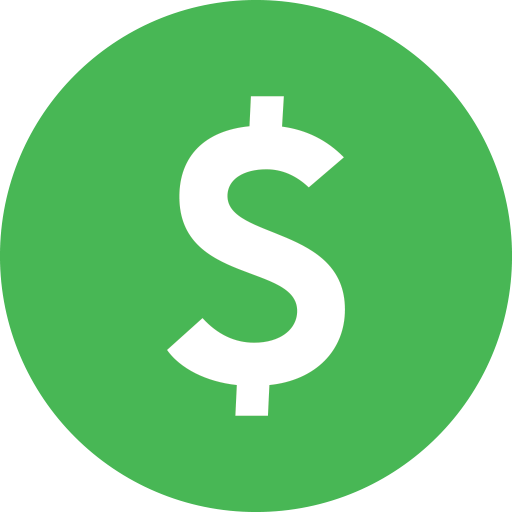 Swagbucks.com is another site to consider since they help you earn cash for things you already do online and you can also earn cash back for shopping via their site. Ultimately online retailers like Amazon.com can help you save the most on purchases and offer benefits like FREE Guaranteed 1-2 Day Amazon Prime Delivery. All these deals will allow you to get the Bavarian Edge at a much cheaper price. The main complaint about the sharpener is its performance. Many people say that it’s not bad, but not nearly as good as advertised. This isn’t really that big of a surprise, since hyping up the product is something that all infomercials do. They can sometimes be a bit misleading, which results in consumers’ disappointment. The build quality is another thing that might be a concern. Some users have had a bad experience with the sharpener failing or falling apart after prolonged use. This mainly depends on the way you use it, but it’s not something that you’d expect from a knife sharpener that’s supposedly the best one out there. Soft steel blades are fine, and it sharpens it with ease but doesn’t do a great job when it comes to hard steel blades. You can barely see a difference in sharpness after trying to sharpen a knife which consists of hard steel. There have been reports of people trying to get assistance or get a replacement but there is an issue with getting any response from customer support. If some of the complaints are a concern, I totally get. So we decided to look at some other options the first being the Brod & Taylor Sharpener. At a first glance, these two products are pretty much the same. Made out of the same material, both sharpeners serve the same purpose and work in the exact same way. However, there are some differences. Brod & Taylor guarantees the purchaser a lifetime of use, thanks to the sharpener’s stainless steel construction. Whether this is actually true is debatable, since the average users have them for around 5-10 years. Not to say that this is not a long time, but it’s certainly not a lifetime. A huge difference between the two solutions is the price. The Brod & Taylor sharpener costs around six times as much as the Bavarian Edge, which has a part-plastic construction. Considering the significant difference in prices, the target customer segments for the Bavarian Edge and the Brod & Taylor are probably different. Above I covered one Bavarian Edge alternative, but there are more options for you to choose from which we’ve covered below. KitchenIQ 50009: If you’re looking for a cheap solution, you might want to check out the KitchenIQ 50009. It might not be as capable as the Bavarian Edge, but it can be good enough for the average user. PriorityChef Knife Sharpener: Another good option is the PriorityChef Knife Sharpener. Featuring a diamond-coated wheel system, this sharpener ensures that your blades never stay dull. Also, it works for both straight and serrated knives, so either the PriorityChef is a knock-off (they look the same) or Telebrands has been proven wrong that they make the only serrated knife sharpener. Does the Bavarian Edge Really Work? Despite a misleading infomercial, as well as a couple of drawbacks, the Bavarian Edge is a good product. Sure, it might not be for everyone, but no product ever is. Even though there are people complaining about it, the majority of users are happy with it. Having this in mind, it’s safe to say that the Bavarian Edge is worth taking in consideration. Feel free to explore a bit more and decide whether this product is right for you. After reading the Bavarian Edge review, you should now have all the information you need to make an informed purchasing decision. But if you have more questions you can visit this product on Amazon.com and read the questions and answers section or other reviews there. Have you tried this knife sharpener before? If you have, please let me know your thoughts in the comment section below. 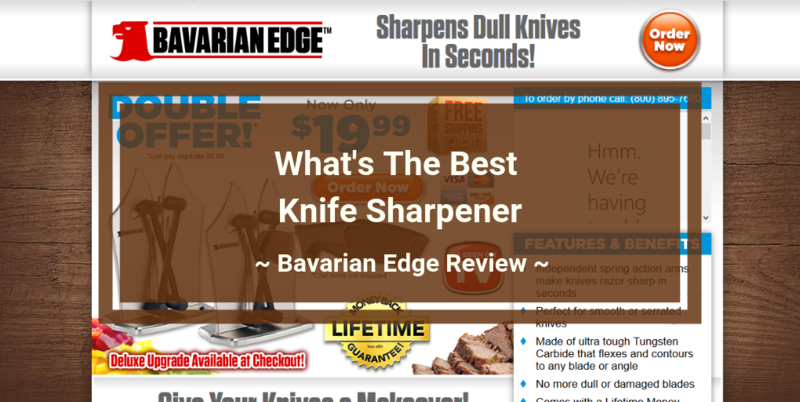 Bavarian Edge claims to be one of the best knife sharpener. But is it really on point? Well we have dug up all the good bad and ugly. Don't buy the this knife sharpener until you know the truth.